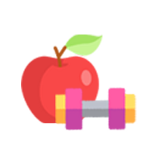 Buscador de Gimnasios is a blog made especially for helping each reader that wishes to get into the world of fitness and nutrition. buscadordegimnasios hasn’t been active on Medium yet. Check back later to see their stories, claps, and highlights.